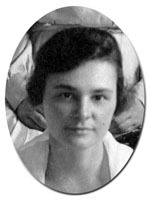 Julia Gleason attended Teachers College, Columbia University, where she received a special diploma. In 1915, Gleason was hired as an instructor in clothing and textiles at the University of Missouri, Columbia. In the following year, she became an assistant instructor in home economics at Rockford College, Illinois. In 1916, she was hired as an instructor of clothing and textiles at Cornell, where she taught courses in "Elementary Clothing and Handiwork," "Draping, Drafting, and Elementary Dressmaking," "Elementary Millinery," and other introductory clothing and textiles courses. In 1920, Gleason joined the faculty of Teachers College, Columbia University.